Although I have taught courses ranging from paleontology to sedimentary petrology, I currently focus on sedimentology and stratigraphy. I teach the basic undergraduate course on sedimentation and stratigraphy and an undergraduate and graduate course in sandstone and carbonate petrology. I also team up with Marc Hendrix to teach a ten day field course over spring break, which takes us to new and fun places each spring. M.A. and Ph.D. University of Texas, 1963. For my Masters Degree I collected and zoned uppermost Cambrian and lowermost Ordovician trilobites in central Texas, and for my Ph.D studied I studied carbonate cyclothems in Pennsylvanian limestone in the same area. I did both theses under the tutelage of Charlie Bell, although I also worked closely with Bob Folk on the Pennsylvanian limestones. I began my career studying Cambrian trilobites, Pennsylvanian carbonate rocks, and recent sediments, but for the past twenty five years I have concentrated on stratigraphy and sedimentology of the Middle Proterozoic Belt Supergroup, right around us in western Montana. The Belt was deposited in a huge intracratonic basin that stretched across western Montana, northern Idaho and into eastern Washington and Canada. It was filled by sand, silt, clay and carbonate sediments that locally reach more than 18 km thick. The sedimentary structures of these rocks are beautifully preserved, since they were deposited 1.5 to 1.4 billion years ago. They reveal a world of pure sedimentary processes unfettered by plants and animals. Our methods are fairly straightforward. We measure stratigraphic sections hundreds of meters thick, mostly in the high mountain ridges, and describe in detail the sedimentary structures. We then place the sedimentary structures in their stratigraphic frameworks and interpret the results, which reveal a world of gigantic sheetflood alluvial aprons and shallow seas or lakes, for which there are no modern counterparts. We build the sedimentology from the rocks, not by applying Phanerozoic models, and the landscapes and seascapes that emerge are amazing. Since I thoroughly enjoy both teaching and field research, I have worked out a wonderful arrangement with my dean. I spend much of my late summers (after the snow is out of the high country) and early falls (into October) in the field. I try to write some of my research up before February and teach three courses during spring semester. In this way I can focus on research and working with students in the fall and on teaching in the spring. I can easily arrange time during the summer and fall to work with undergraduate and graduate students on thesis projects. This arrangement works great for me. Since the Belt provides such a wonderful sedimentologic laboratory, there are unusual, yet fundamentally important elements to study. One suite of such elements are "molar-tooth" structures, which baffled us for years, until George Furniss and John Rittel proposed that they were carbonate- (vaterite?) filled bubbles and gas expansion cracks (Furniss, Rittel, and Winston,1998), (Gellatly and Winston, 1998), and (Winston, Rittel, and Furniss, 1999). Another feature we are writing up for publication are tightly folded sand-filled cracks that cut mud layers that in turn cap hummocky cross-stratified sand beds. They have been variously interpreted elsewhere in the Proterozoic and Phanerozoic, but we believe they were formed by storm-generated solitary waves (Smith and Winston, 1997, Winston and Smith, 1997). These are just some examples of unusual features to study in the Belt. I am currently working on lacustrine? marine? sedimentary cycles in the Helena and Wallace formations. I am also anxious to work on the carbonate petrology of these rocks. In short, wherever you look, there are many kinds of theses topics in the Belt. 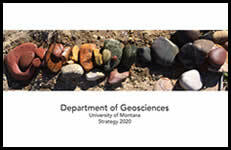 Winston, D., and Link, P.K., 1993, Middle Proterozoic rocks of Montana, Idaho and Eastern Washington: The Belt Supergroup: in Reed, Jr, J.C., Bickford, M.E, Houston, R.S, Link, P.K., Rankin, R.W., Sims, P. K., and VanSchmus W.R., eds., Precambrian: Conterminous U.S.: Boulder, Colorado, Geological Society of America, The Geology of North America, v. C-2, p. 487-517. Winston, Don, 1995, Shoreward-fining and thinning sediments in cycles of a large, muddy, shallow Proterozoic Lake: Belt Supergroup, Montana: [Abstract] The First International Limno- geological Congress, Copenhagen, Denmark, August 21-25, 1995. Link, P.K., Winston, Don, and Hathaway, Nate, 1997, The Yellowjacket is not the Prichard: Revised correlations of Lemhi Group, Yellowjacket Formation and the Belt Supergroup, Mesoproterozoic Montana and Idaho: [Abstract] Geological Society of America Abstracts with Programs, vol. 29, no. 6, p. A-408. Smith, S.V. and Winston, Don, 1997, Formation of cracks in subaqueous fluid mud by solitary waves, central Louisiana Gulf of Mexico coast: [Abstract] Geological Society of America Abstracts with Programs, vol. 29, no. 6, p. A-440. Winston, Don, and Smith, S.V., 1997, Sand-filed folded cracks cutting mud layers that cap HCS sand beds, Middle Proterozoic Wallace Formation, Belt Supergroup, Montana: formed by solitary waves? :[Abstract] Geological Society of America Abstracts with Programs, vol. 29, no. 6, p. A-440. Winston, Don, Furniss, George, and Rittel, J.F., 1997, "Molar- tooth" structure in the Proterozoic Belt Supergroup replicated experimentally by biogenic gas bubbles and gas expansion cracks in clay slurry: [Abstract] CSPG-SEPM Midyear Meeting, Calgary Alberta, May, 1997. Furniss, George, Rittel, J.F. and Winston, Don, 1998, Gas Bubble and expansion crack origin of "Molar-tooth" calcite structures in the Middle Proterozoic Belt Supergroup, western Montana: Journal of sedimentary research, vol. 68, p. 104-114. Winston, Don, 1998, Ephemeral mud beaches on oolite flats, southeast margin of the Great Salt Lake, Utah: [Abstract] American Association of Petroleum Geologists Annual Meeting, Salt Lake City, May 17-20, 1997. Gellatly, A.M, and Winston, Don, 1998, Is "molar-tooth" calcite in the Helena Formation (Middle Proterozoic Belt Supergroup, Montana) inverted vaterite? : [Abstract] Geological Society of America Program with Abstracts, vol. 30, no. 7, p. 333. Winston, Don, Link, Paul Karl and Hathaway, Nate, 1999, The Yellowjacket is not the Prichard and other heresies: Belt Supergroup correlations, structure and paleogeography, East- Central Idaho: in Hughes, S.S., and Thackray, G.D., eds, Guidebook to the Geology of Eastern Idaho: Pocatello, Idaho Museum of Natural History, p. 3-20. 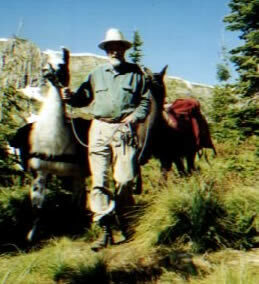 Winston and Roberts, eds., 2000, Geologic Field Trips, Western Montana and Adjacent Areas: Rocky Mountain Section of the Geological Society of America, University of Montana. Winston, Don, 2000, Belt stratigraphy, sedimentology and structure in the vicinity of the Coeur d'Alene Mining District, in Winston, Don and Roberts Sheila , eds., Geologic Field Trips, Western Montana and Adjacent Areas: Rocky Mountain Section of the Geological Society of America, University of Montana p. 85- 94. White, B.G., Winston, Don, and Lange, Ian, 2000, The Lewis and Clark line and the coeur d'Alene Mining District, in Winston, Don and Roberts Sheila , eds., Geologic Field Trips, Western Montana and Adjacent Areas: Rocky Mountain Section of the Geological Society of America, University of Montana p 103-121 .